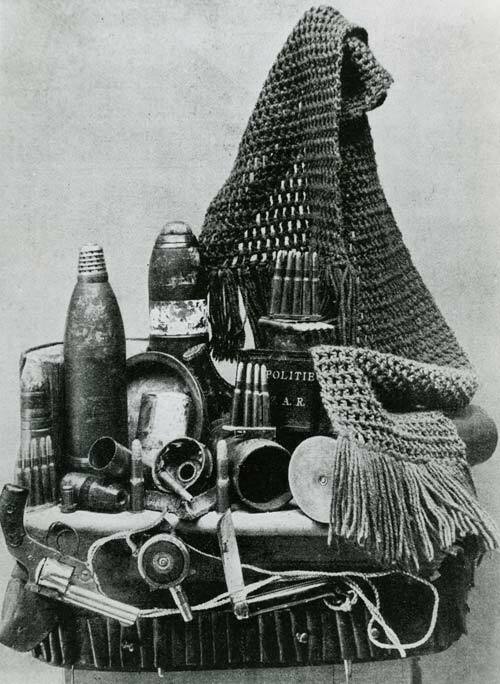 The scarf shown here was one of eight knitted by Queen Victoria, four of which were presented to colonial soldiers who performed acts of gallantry. This one was given to Private Henry Coutts of the 1st Contingent, who rescued a wounded mate caught in an ambush at Sanna's Post on 31 March 1900. The other objects are trophies also brought back by Henry Coutts.